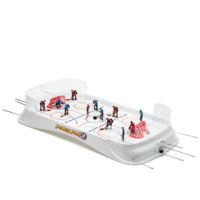 Pro Stars 2 is a classic table top Rod Hockey Game that simulates real Ice Hockey Action with realistic arena like markings. 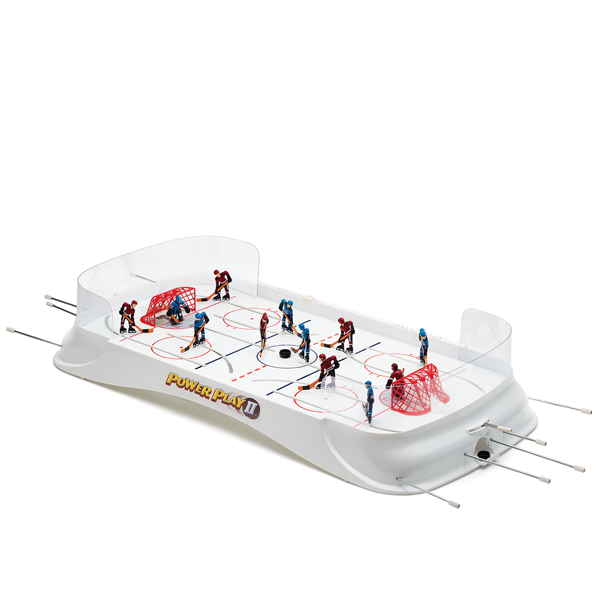 It is a great family game for 2 to 4 players with a playing surface of 28”X14” and offers to kids the same excitement their parents enjoyed when they played it in their youth. 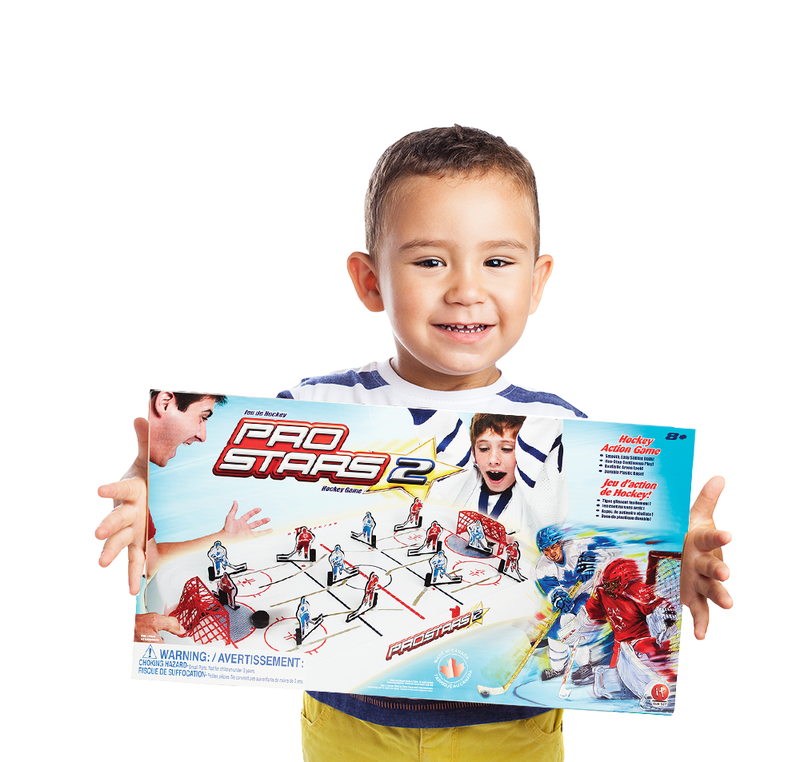 Pro Stars 2 offers non-stop continuous play with easy sliding smooth rods. The game comes with decaled flat players and stick. This allows for better contact with the puck and is the preferred player choice for tournament play in North America. All replacement parts and extra pucks are available on request from the manufacturer. You will not find a more durable game at this affordable mid-price point range than this Canadian made game. 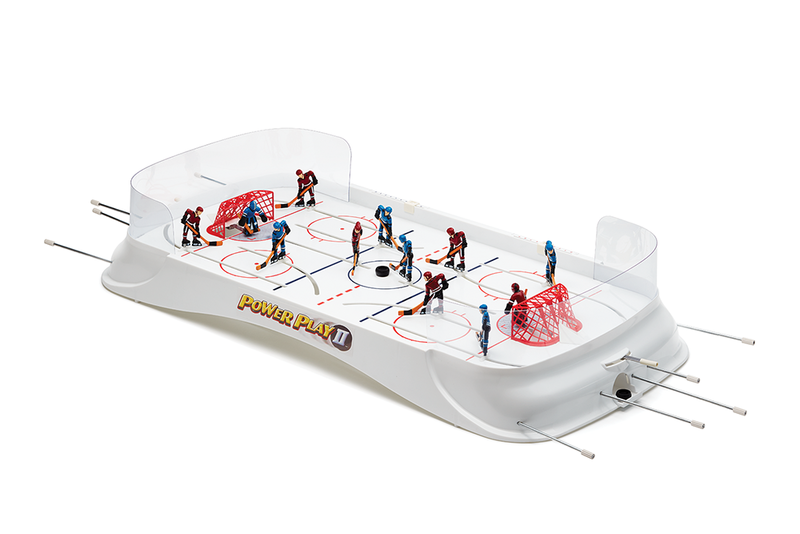 Who better than a Canadian company making a classic traditional Canadian Rod Hockey game?